Is the biggest healthcare problem in the US. It affects more Americans than diabetes, heart disease and cancer combined! Pediatrics, Orthopedics and Spine Therapy Center is an independent outpatient multidisciplinary therapy clinic committed to provide the highest quality of Physical, Occupational and Speech Therapy care in Michiana. With services suited for rehabilitating a wide spectrum of patients from Pediatrics to Orthopedics/Spinal and Sports conditions, We are proud of our uniqueness and remarkable functional outcomes. Our Mission is to provide excellent quality of care to our clients as we would if we were treating our love ones. Whether your condition was caused by an Auto Accident, Worker's Compensation, Falls, Congenital or Sports Injuries, our expert therapist will get you Back to Life or Work. Peds, Ortho and Spine Therapy Center customizes each patient's therapy plan to fit their needs. We also provide a private, comfortable setting with one-on-one therapy sessions. Our goal is to create an exceptional patient experience! Hear from one of our happy patients! Pediatrics, Orthopedics and Spine Therapy Center provides the latest approaches in in physical, occupational, and speech therapy care. Our technicians use the latest technology and techniques that have maximized the capabilities of our patients by building strength and endurance, and restoring their quality of life. Please take a moment to view a few of our popular specialized programs. There is no magic number for someone to heal! Pain or injury that does not improve within two (2) weeks of home treatment suggests something more serious maybe wrong. Be leery of providers who recommend a set number of treatment visits, without even an evaluation and initial treatment. If they claim that they can get you better and stay better free of pain, why can't they make it sooner? 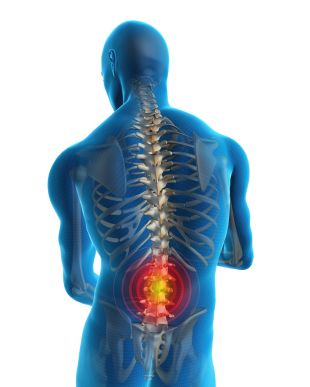 A basic knowledge of spinal anatomy is very helpful in understanding the mechanical and physiological changes that cause various types of back pain. 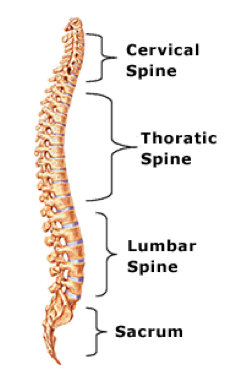 Check out our Anatomy Spinal Library for an overview of the spinal cord. Copyright 2014© Peds, Ortho and Spine Therapy Center.